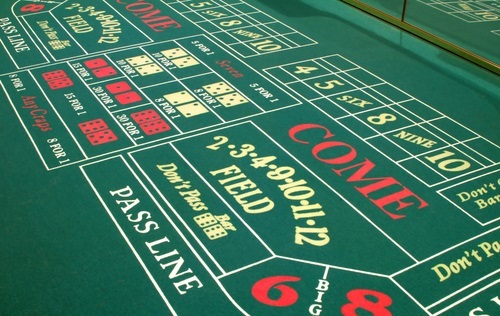 Many new and seasoned gamblers are not completely familiar with the game of craps. So, they search “ how to play craps.” If you were searching this too, you have come to the right place. Online craps work in the same way that craps at a land-based casino does. Punters can play craps for free and for real money at the best South African casinos. However, players must always check whether their chosen casino’s software provider does not have any differences in rules. Below is the process that the game usually follows when being played online. Before the gambler can start playing for real money, they need to have credits to play with. At a brick and mortar casino, this would be the chips bought by players. After depositing funds into their online casino account, gamblers can exchange it for playing credits. In the first phase of the game, the Come Out Roll phase, the player needs to bet. The bet needs to be on either the Pass Line or the Don’t Pass Line (gamblers will find corresponding sections on a craps table). Then, two dice will be rolled. In order for Pass Line bets to win, the two dice throw should result to a 7 or 11. Whereas, Don’t Pass Line bets win when the roll shows a 2 or a 3. If a 12 is thrown, it is a tie, and no bets win or lose. The point phase is the second phase of the game. A throw of a point number activates it. Point numbers are 10, 9, 8, 6, 5 and 4. After a player has thrown a point number, they need to throw the same number again before throwing a 7. If a 7 is rolled before the point number, Pass Line bets lose. Conversely, if the same number is thrown before a 7 is thrown, Pass Line bets win. More information on the craps game is available on the online craps page. And if you want to read a brief craps history, click here.